Hopefully everyone is in a turkey coma, surrounded by friends and family enjoying a day where we can all sit back and give thanks for the things we have in life. There are 364 other days in the year where we can stress about the things we have to do, stress about the things we need or want and go run around trying to finish all the things we want to accomplish in life, but this day of Thanksgiving is a great day to just stop for a moment, reflect on where we are, who we are and all the blessings we've been given in life. And if you're up early making your turkey dinners, turn on the parades! Just because you're floating around in a space station 250 miles above the earth doesn't mean you can't enjoy a nice Thanksgiving dinner, right? American astronauts Barry "Butch" Wilmore, Terry Virts and Italian Samantha Cristoforetti are going will celebrate Turkey day in zero-g.
See? 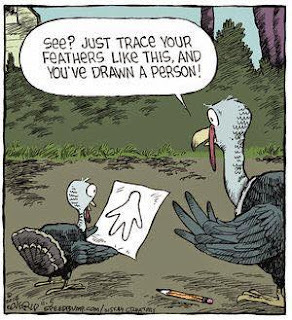 Just trace your feathers like this and you've drawn a person! 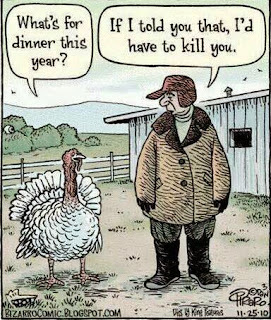 Only two more days until Thanksgiving! 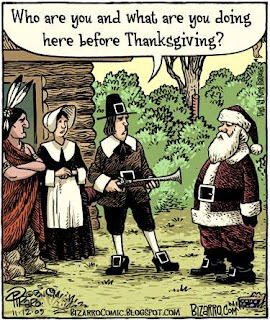 Hopefully everyone is enjoying the season of giving thanks. 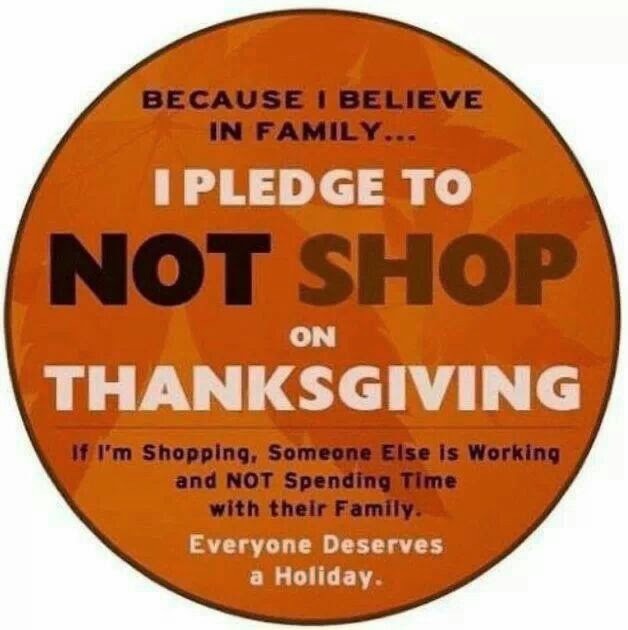 And on Thanksgiving day, please remember that if you go shopping on that day, someone has to work that day and can't be at home with their family. On the lighter side, here's a few funny comics we've seen floating around facebook! What's for dinner this year? If I told you that, I'd have to kill you. Who are you and what are you doing here before Thanksgiving? 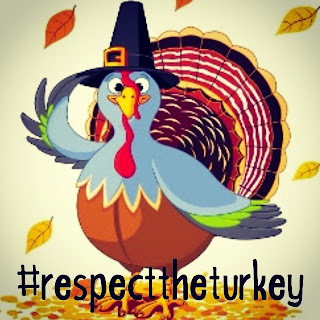 Some great tweets out there right now under the #RespectTheTurkey hashtag! 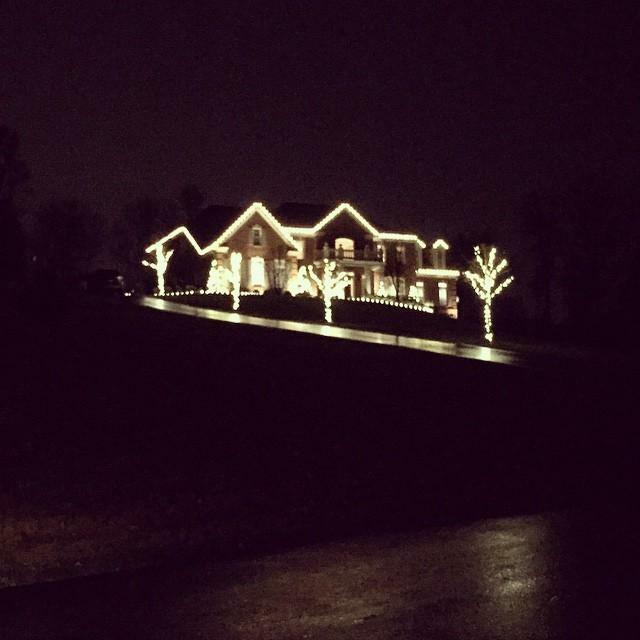 Are you frantically researching turkey recipes or already blasting "Jingle Bells?" 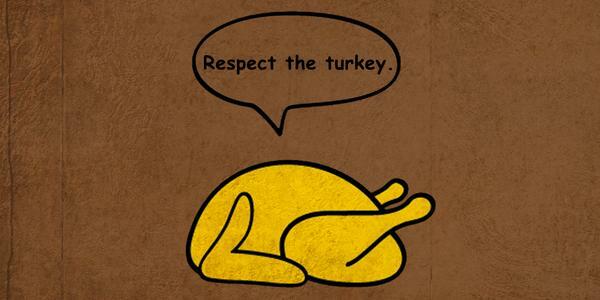 Tell us if you #RespectTheTurkey! We agree! Tweet Tweet! 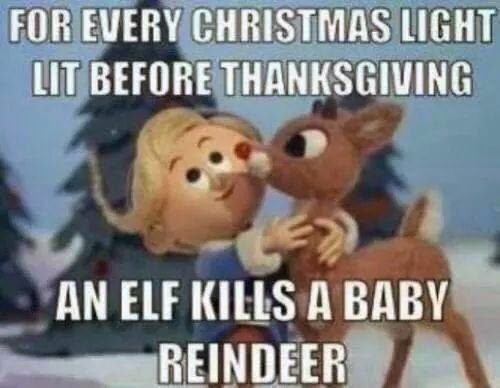 I mean... Gobble Gobble! 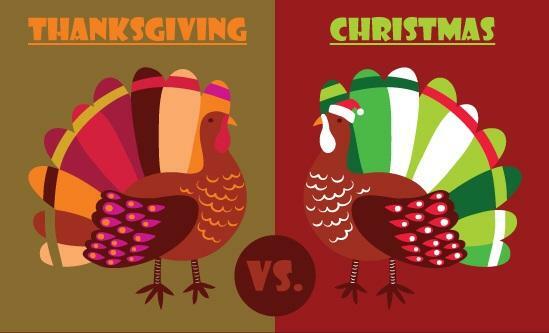 Another site has come along to join the cause for the fight to take back Thanksgiving! Thanks to J&D for this one. 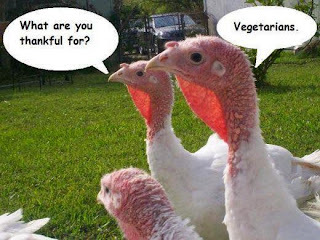 These turkeys sure know what to really be thankful for this season! Quite a few stores are now joining the march to stay closed on Thanksgiving! Thanks to some successful facebook campaigns like Say No To Shopping on Thanksgiving and the popular pledge badge that's been going around, stores are starting to listen! Great to see such a community supporting the retail workers and helping them get a well deserved day off.